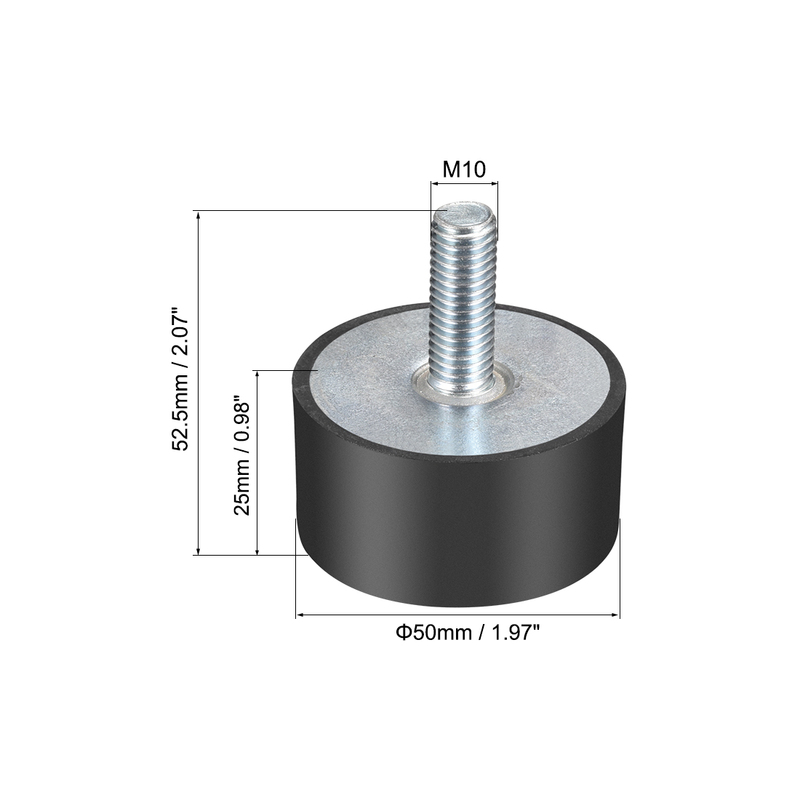 ›M10 Rubber Vibration and Shock Absorption Mount w Thread Stud, 1.97" x0.98"
M10 Rubber Vibration and Shock Absorption Mount w Thread Stud, 1.97" x0.98"
1.Universal Design - 1.97" x 0.98" rubber mount with M10 x 27mm Studs , set of 2 pieces. 2.Durable, high durometer, resilient, anti-vibration, the metal stud is one pieces terminated and bonded within the rubber that perform better isolation . 3.Damping Capacity - rubber vibration isolation cushion, the rubber has large elasticity and is light and high, which plays a good buffering role and can protect the machine well for shock absorption and reduce noise. 4.They absorb vibrations caused by appliances, reduces noise and structural damage caused by these vibrations.Adapt to many kinds of motors make machine more stable supports dynamic performance and stability. 5.Rubber vibration isolator is mainly used for Fitness equipment, air conditioning, bicycle,air compressors, enginers, gasoline engines, water pumps ,Welding machine and other equipments as a damping element.